Physician’s assistants work really hard and deserve great gifts. Finding the perfect gift for the physician’s assistant in your life isn’t always easy, but we helped take the guesswork out of it by putting together a list of five great gifts that they’re sure to love! Needing a bunch of coffee to stay awake is pretty much a given for anyone who works in healthcare, but sometimes people pick up the wrong cup and walk away with your drink. 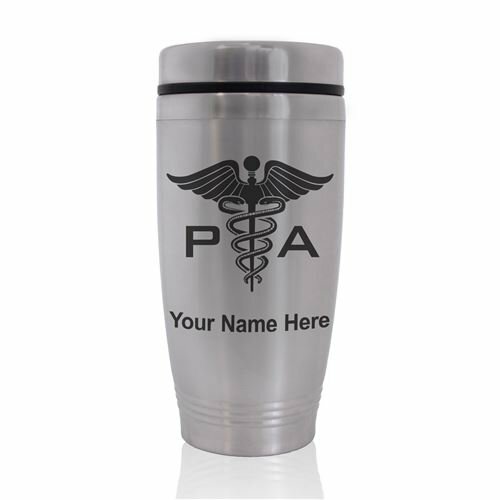 That won’t happen anymore, as this great looking mug comes laser engraved with your favorite PA’s name directly under the caduceus! “I may not be a superhero, but I’m a physician’s assistant so close enough” tells everyone in the world how proud your favorite PA is of their job. The long hours can be particularly thankless, but the comparison to a superhero is spot on. Subway art is everywhere right now, and for good reason. It’s a great way to express your personality or show your support for something. This art is perfect to hang in a house or office and will remind your PA why they do what they do. Perhaps more importantly, it will remind everyone else of how important they really are! Even when they’re not at work, physician’s assistants are devoted to their jobs and constantly thinking about their patients. 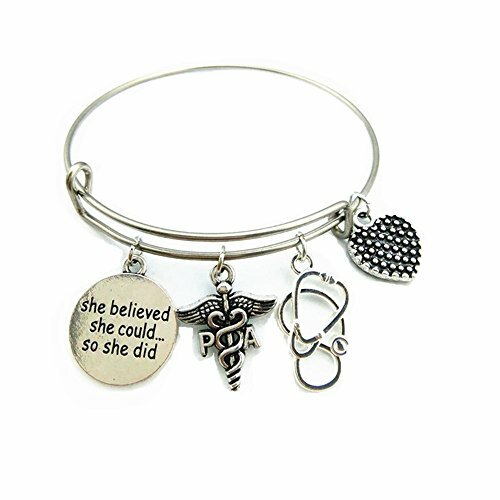 This pretty bracelet, with four charms related to the job, including a caduceus and stethoscope, will help your favorite PA remember all the things they love about what they do. 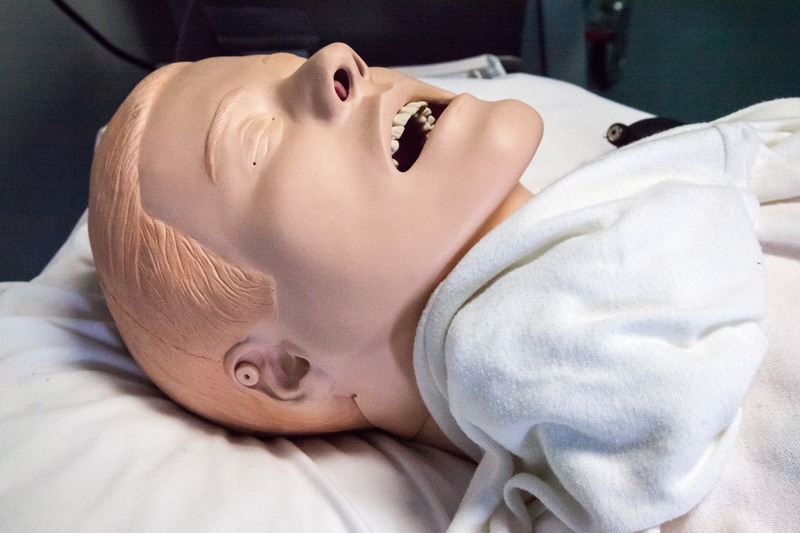 We all have good and not so great days at work, and physician’s assistants are no different. This etched wine glass has the caduceus on one side and three lines to measure a drink on the other. The lines are “good day”, “bad day”, and “don’t even ask”, and are sure to add some levity to even the most stressful day. From useful at the hospital to fun when they get home, there are a number of great gifts out there for your favorite physician’s assistant. Some of them, like the wine stemless wine glass, are sure to get you invited over for a drink sometime, while the bracelet and charms will simply remind them that you’re thinking of them! If you’ve liked this guide, please check out our gift ideas for nurse preceptors and surgeon gift guide.